Wargroove releases later this week, taking up Advance Wars’ turn-based mantle nearly a decade after the Nintendo strategy series’ last outing. While you won’t be able to get your hands on it until February 1, the critics’ scores are available now, so let’s take a look at how the game has fared. While Jeremy found Wargroove a bit of a grind, however, elsewhere it’s proved extremely popular. Our sister site Strategy Gamer gave it 4/5, and at time of writing, its Opencritic review is 84. Metacritic doesn’t have a PC score just yet, but the game is also available on the Nintendo Switch (where I’m planning to pick it up – shhh), where its score is even higher at 87. For the most part then, that Advance Wars nostalgia has paid off. A collection of eights are accompanied by a smattering of nines, and Opencritic even lists a score as high as 95. 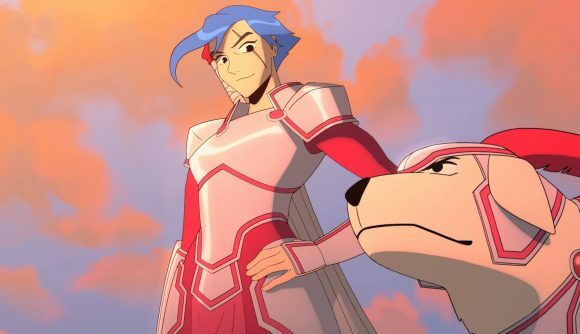 You’ll be able to get your hands on Wargroove this weekend. As well as playing through its campaign, you can create your own with Wargroove’s level editor, and you’ll even be able to play with other platforms thanks to some decent cross-play capabilities. And if all that weren’t enough, have you not seen that adorable dog? He’s an extremely good boy.